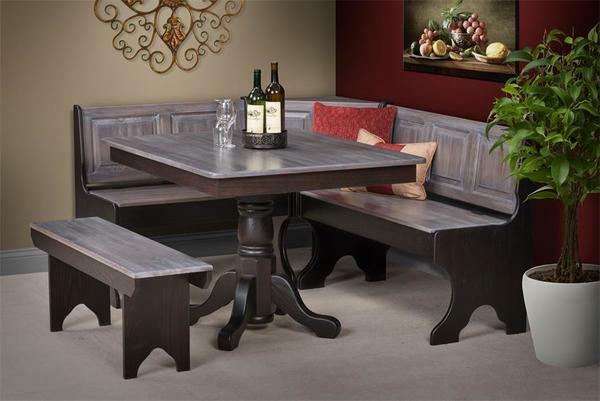 DutchCrafters Breakfast Nook Sets are all Amish handcrafted from solid wood. Our breakfast nooks make a cozy place for family and friends to hang out or share an intimate meal. All of our nook sets can be customized to fit your kitchen corner. Shop our many styles of breakfast nook sets online, over the phone with one of our friendly sales associates or at our stop by our Amish furniture outlet store. This traditional looking corner breakfast nook set is centered around a pedestal table, giving your family more leg room. 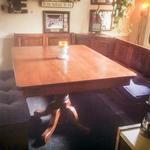 No more bumping into the table legs or having to straddle a leg while dining! And because the nook set is made for a corner, it saves space in just about any kitchen or dining room. This corner nook set also features solid wood benches with convenient lift-top storage for extra place settings, table cloths, napkin holders, or other entertaining and dining supplies. What a great space-saving feature! This Amish corner nook set can be built in a variety of wood types and stain options. It is hard to find a comparable to solid hardwood, masterfully crafted, American made corner breakfast nooks. Because our corner nooks are made by the Amish, they are built with honesty, integrity, and old fashioned hard work. You'll notice the difference in the quality of construction and the durability and beauty in the finished product - a gorgeous kitchen nook that your family will enjoy for decades to come. Question: I notice this nook shown in a variety of different finishes but I don't see those listed in the finish option. How do I order it as shown in the photo? Answer: We offer so many different finishes as well as finish combinations that we can't list every possible option. You have two choices if you don't see the finish you want or you are undecided on your selection. 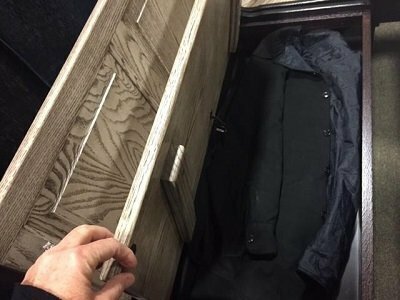 1) You can select the Decide Finish Later option within this option and we will call you during regular business hours to discuss your selection and then send you out samples in the mail. 2) You can call one of our Amish furniture specialists over the phone 11-866-272-6773 and they can make sure our Amish woodworker builds and finishes it just as it's shown on the website. Question: I have a bay window that I would like to place this nook under. I see that the L-Bench measures 33" high and that will cover up part of my window. Can I get the bench in a height of 28" instead? How much will this cost extra since it's customized? Answer: Customizing the height and length of our corner nooks are two of our most common requests. To customize our furniture, please call one of our sales associates at 1-866-272-6773 or email them at questions@dutchcrafters.com. Question: This nook is going in my kitchen and part of it will show through my sliding glass doors. Is the back made to be seen? Answer: No the back is built to into a corner against a wall. If you would like to have a finished back with panels like the front then the nook will need to be customized. We have done this design many times so just give us a call for the up-charge to add this feature. Shop all our breakfast nook sets to find the perfect style and look for your kitchen. Shown in Oak with OCS-230 Onyx stain on bottom, Truffle stain-glaze on top. Some assembly is required. The backs of the nooks will have nail pocket holes and are made to go against the wall. Call one of our Amish furniture specialists for a custom finished back. I love my new nook set! BEAUTIFUL! This set is beautifully crafted. The finish is as smooth as silk. It fits beautifully in my kitchen. There is nothing to compare with Amish made furniture.